Moonset, seen from Lyons Peak with fog covering the city. 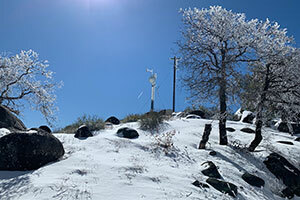 The Mount Laguna Observatory antenna tower covered in ice and snow after the storm. 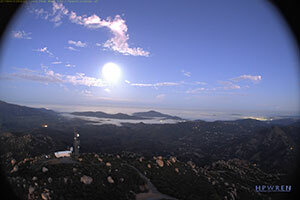 Photo by Andrew Farrow, SDSU MLO. 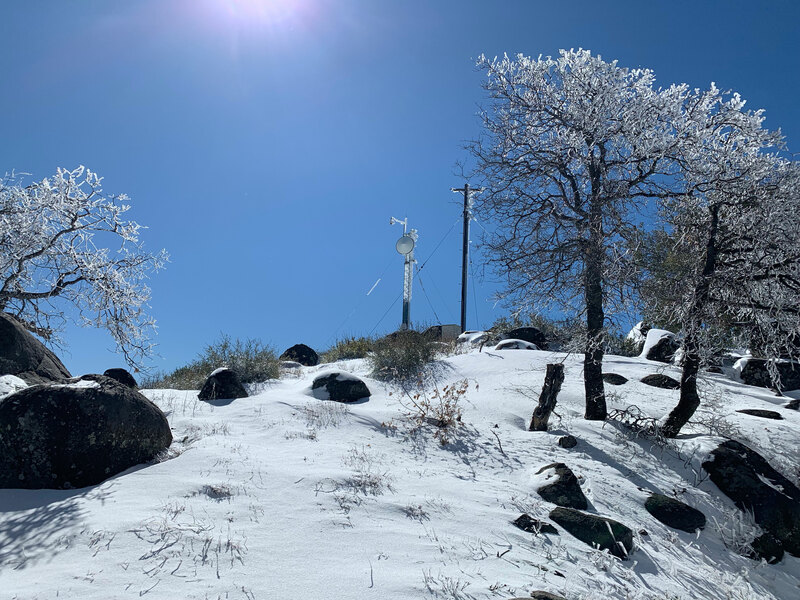 A short automatically generated web camera video showing the Santa Margarita River of the Santa Margarita Ecological Reserve on Feb 5, 2019. 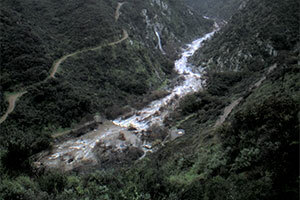 Note the waterfall in the back. Click on the image to start. 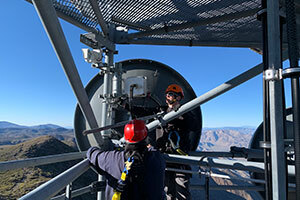 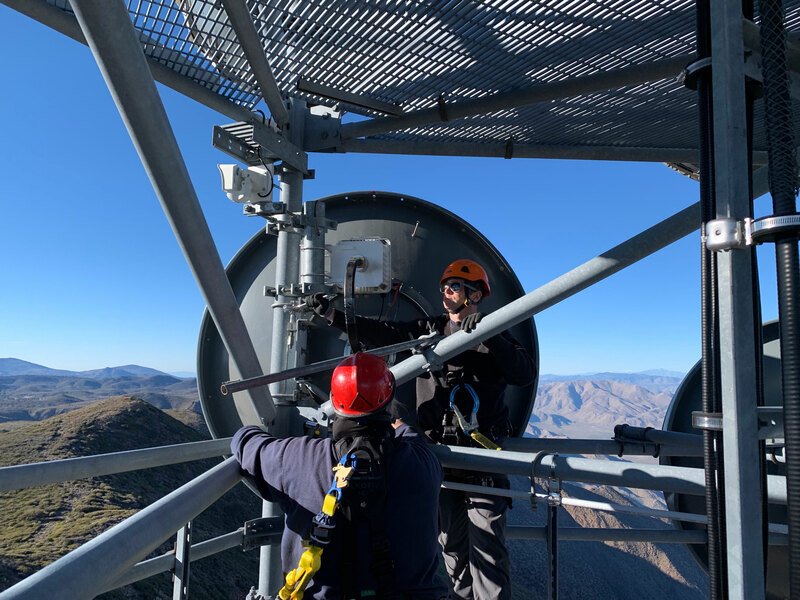 Jim Hale (in front) and Adam Brust align an HPWREN antenna between Mount Laguna and the Palomar Observatory, following repair work on January 25, 2019. 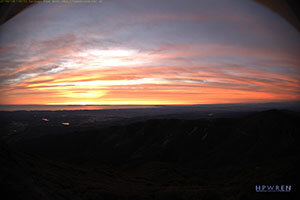 Sunset seen via a web camera on Santiago Peak on January 8, 2019.